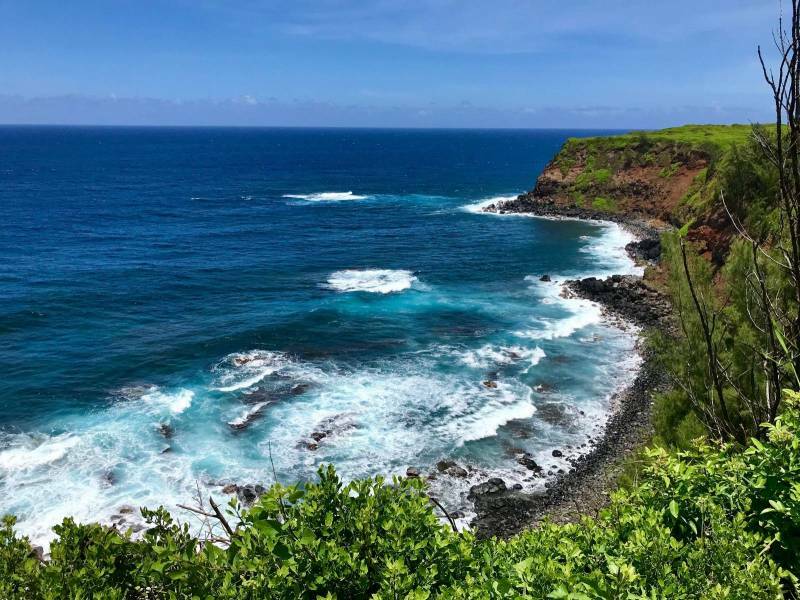 Perched high on a cliff on Maui’s North Shore is a one-of-a-kind opportunity to experience a pristine natural coastline in one of the most ruggedly beautiful locations on the planet… with a perfect view of the world-famous “Jaws” surf break. Here on Maui, we’re a bit spoiled sometimes — anywhere you go on the land or in the sea is just so gorgeous, Maui No Ka Oi, after all! But certain locations make you pause and take a deep breath. They have a tangible presence and are a little bit more alive than the rest. That’s the best way I can describe how I feel every time I visit Peahi, or Opana Point. 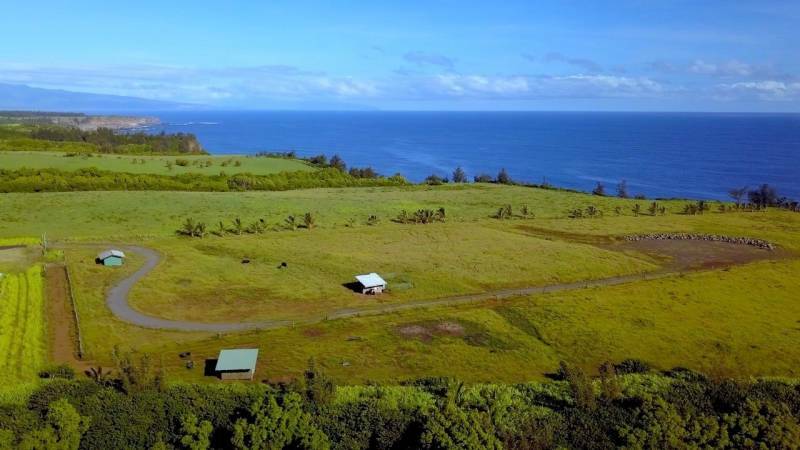 Access to this spectacular location is via paved, private access roads from Hana Hwy. There are locked gates limiting entry to the landowners and local fishermen who traverse the walking paths to the shoreline to bring in the day’s fresh catch. Over 230 acres behind the gate on Kai Huki Street belongs to the unique Agri-Community subdivision Peahi Farms. Then outside of that subdivision down the side street Kai Poi Place are just a handful of direct oceanfront lots with large acreage and tons of potential to enjoy and preserve as a legacy property in perpetuity. Another big benefit of 300 Kai Poi Place is that infrastructure is in place so the property is truly ready to build! 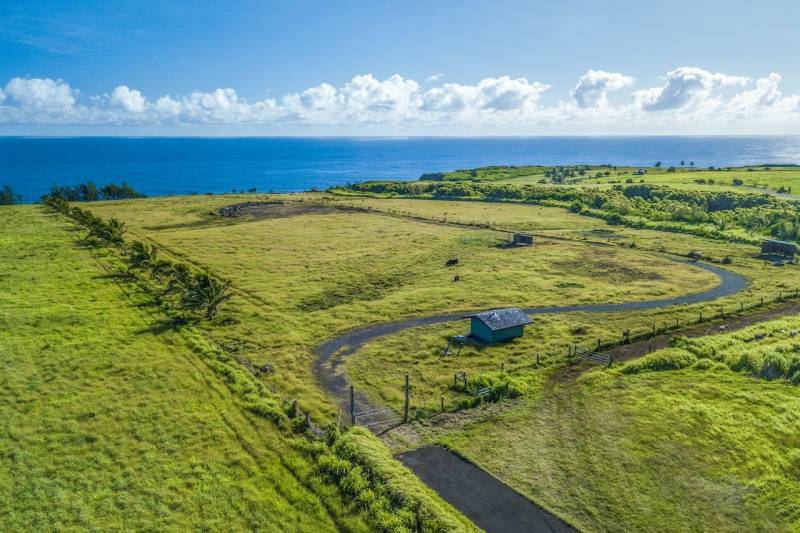 Instead of the rolling, raw pasture lands nearby, this property already has a one-acre cleared and level build site supported by a retaining wall, terraced and graded to the natural slope of the land. A reinforced crushed gravel driveway leads the build site about halfway down the property at the perfect location for sweeping ocean views and watching the epic surf roll in at Jaws less than one mile away. One acre reinforced and level build site. The lot has its own private well installed and recently tested, and a 45 KW generator onsite ready to be connected to power the well pump. 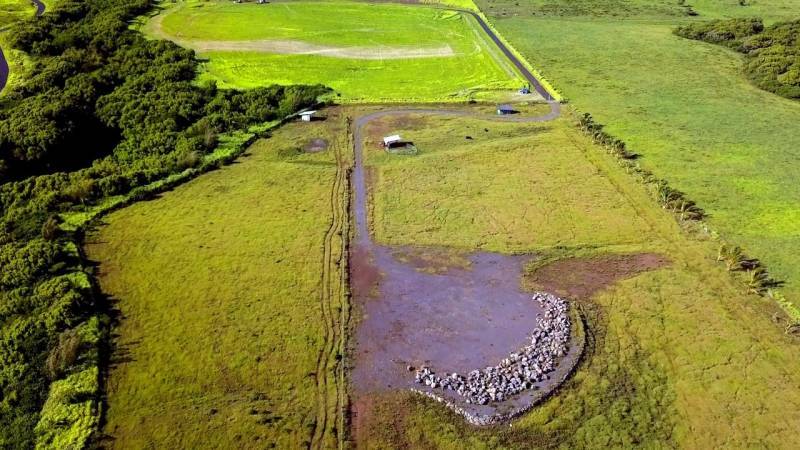 Electricity can come from Maui Electric, or, an even better fit for an off-the-grid sanctuary is installing a photovoltaic system with the house. There is tremendous value with all of the “heavy lifting” in construction already complete. Design your dream home and take advantage of the opportunity to wake up every day living one with the land in this otherworldly location. For more information and to schedule a private tour of 300 Kai Poi Place, contact me at (808) 250-0840 or jessicabaker@hawaiilife.com. I look forward to hearing from you! Aloha for now! Very Beautiful Lot. How far from Kahului? How much does it cost for the lot and what are the cost to build? Interested in the Bamboo prefabs they build on the big island.